We love MAC Makeup! For those of you that love MAC makeup too, come and train with us and enjoy learning our secret makeup tips and tricks from some of the best makeup artists in the country! This MAC makeup course is for complete beginners in makeup who wish to learn basic professional makeup skills using MAC makeup. // What will I learn during this course? This MAC Makeup course covers the application of day and evening looks. 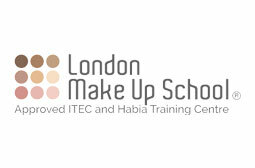 A London MakeUp School certificate awarded on completion of the course. // What can I do with this course? 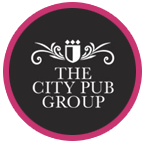 The London Makeup School certificate allows students to apply basic daytime and evening makeup looks onto clients. // What courses can I progress onto? If students wish to continue and develop a career as a makeup artist, we would recommend completing one of our London MakeUp School Makeup Artist Certificate courses, our Fast Track Makeup Artist course, or our Beginners Professional Makeup course. PLEASE VISIT THE DONOR SITE TO SEE THE COURSE DATES AVAILABLE. PLEASE STATE IN YOUR APPLICATION WHICH DATE YOU WOULD LIKE TO ATTEND.